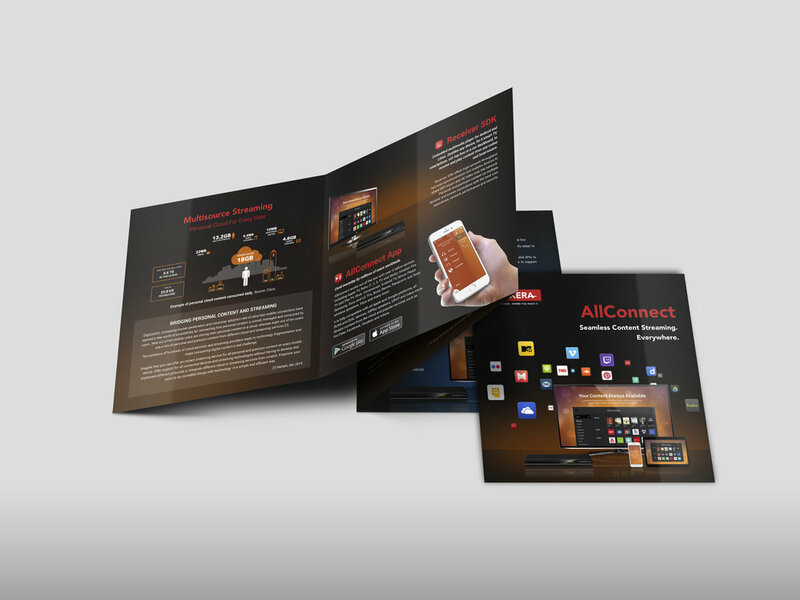 AllConnect is a software platform that enables all devices to connect and talk to each other regardless of the operating system and protocol. 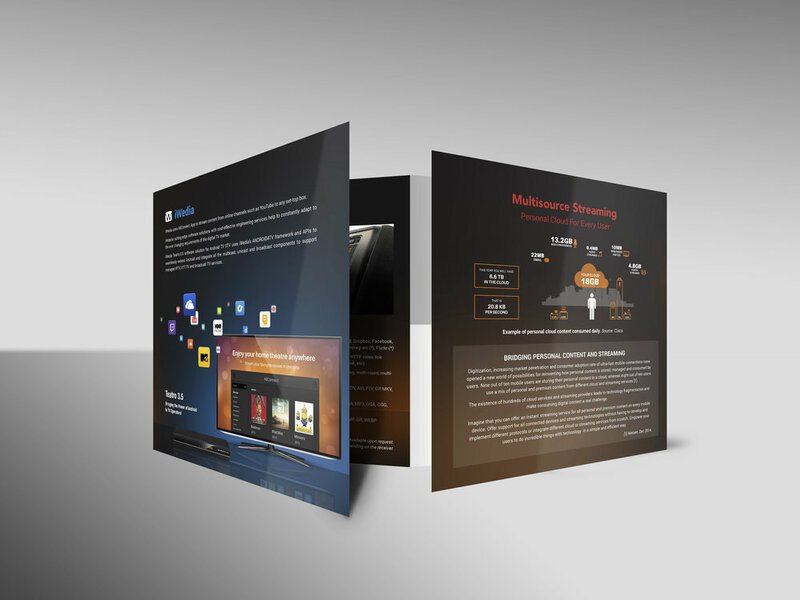 AllConnect supports all the streaming technologies and works out of the box with over 5 billion devices. Any application built on top of AllConnect SDK allows the user to access data from any cloud service or media server and and stream it to any device, be it smart TV, set-top box, wireless speakers or a car dashboard. 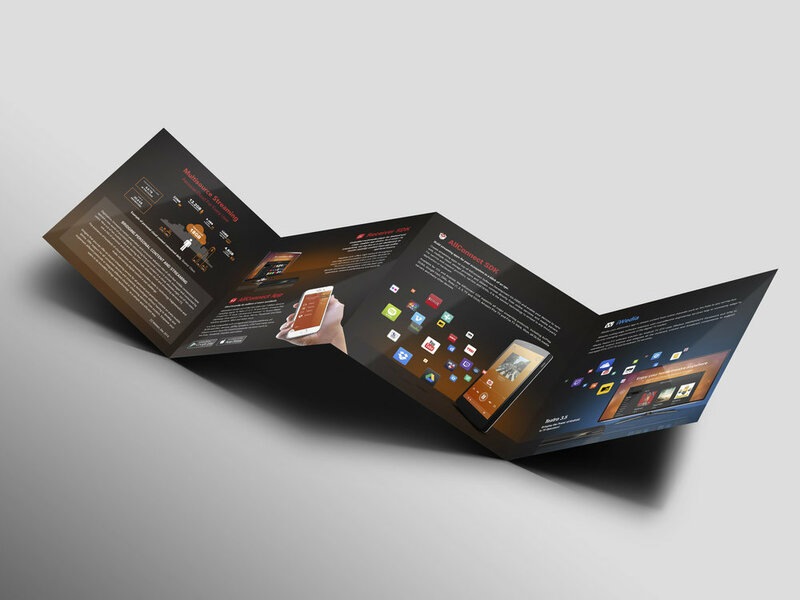 The purpose of this project is to promote AllConnect technology, emphasising on its capabilities to stream all content from every source to all destination devices. The specific style was chosen to imply the seamless content flow. Displayed at CES Las Vegas 2016 and other events.